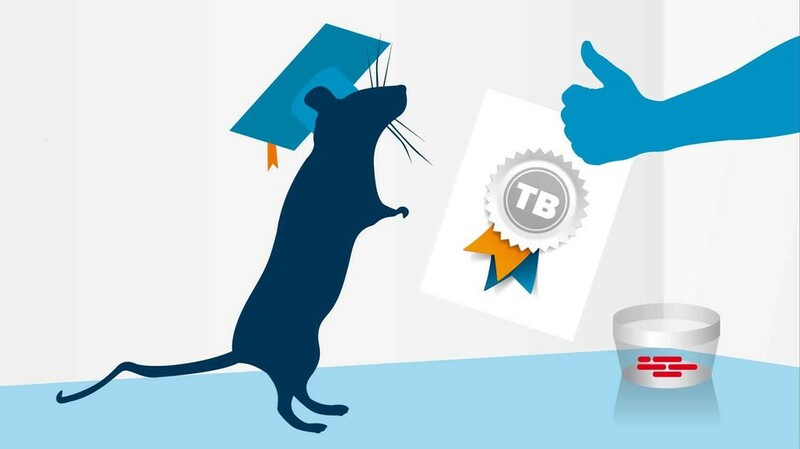 APOPO’s TB Detecting HeroRATs take around 9 months to be fully trained. Throughout they are extremely well cared for, receiving an excellent diet, regular exercise, much personal attention and scheduled playtime, as well as weekly care from a vet and onsite animal behaviourist. At four-weeks old the rats become at ease in their surroundings and with people. They are regularly handled by trained staff and introduced to everyday sounds and smells. The rats are trained to associate the sound of a click with a reward. 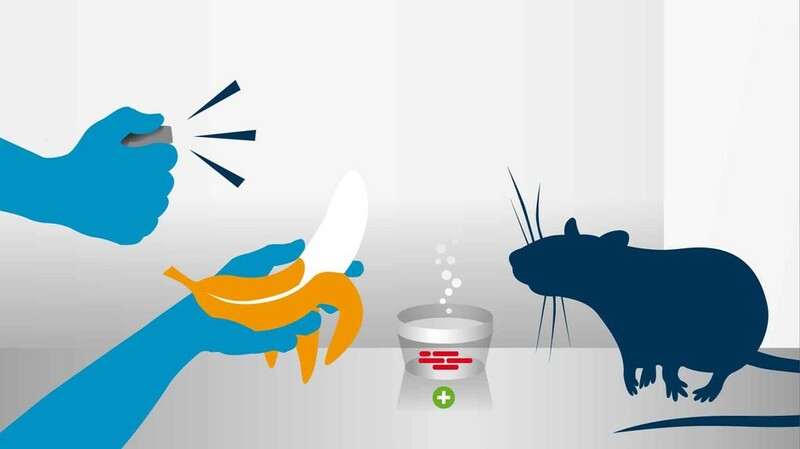 When they near a sputum sample they hear a click and receive some banana. They now learn to distinguish between TB positive and TB negative samples. 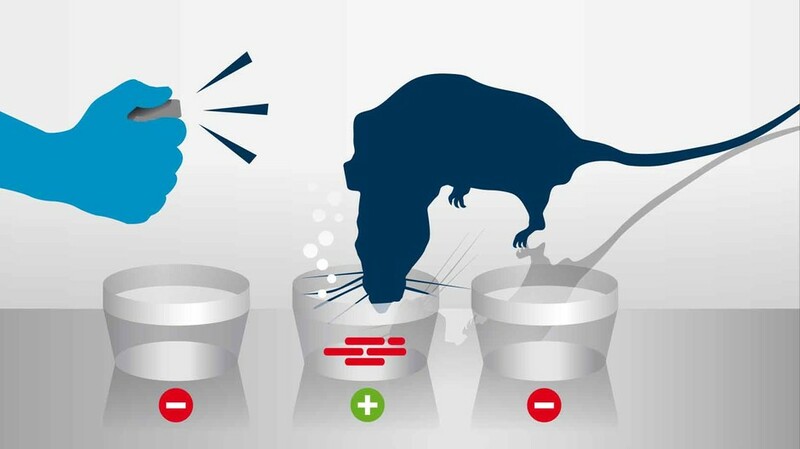 The rats will only hear a click and receive a reward if they interact with the TB Positive sample. In a larger testing chamber, rows of 10 samples are placed beneath sniffing holes. The rat learns to evaluate large numbers of samples. It is trained to hold its nose over TB positive samples for 2-3 seconds. 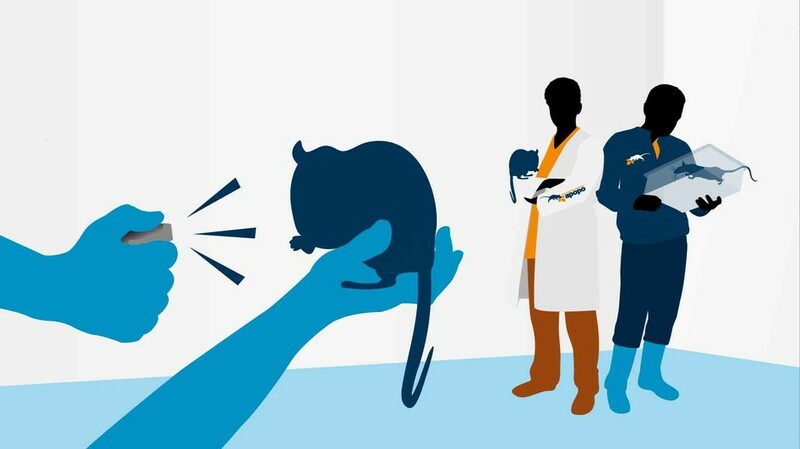 APOPO's TB rats are now evaluated through a strict testing process. 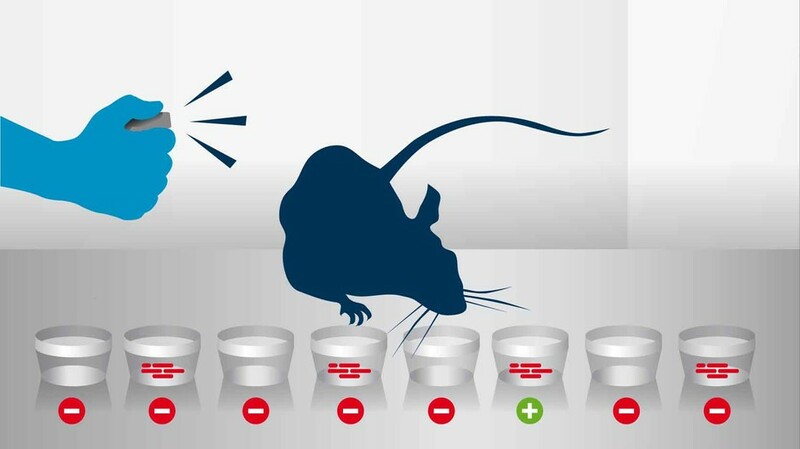 To pass, the rat must find every TB positive patient in the tests. 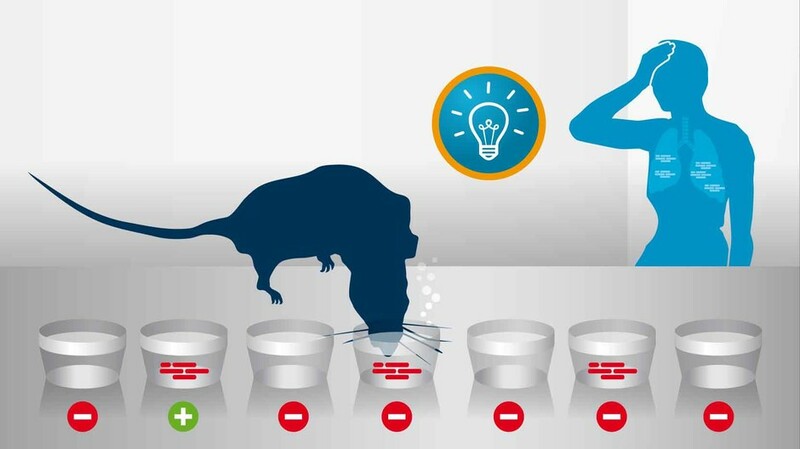 The HeroRAT is now operational and tests the daily samples that arrive from the clinics. The APOPO lab confirms the TB it using WHO endorsed methods before alerting the clinic. APOPO has raised detection rates of partner clinics by 40%.